It is looking more likely that Turkish forces will make a military move on Afrin, the Syrian Kurdish-controlled canton in northwest Syria, in an effort to root out the Kurdish People’s Protection Units (YPG), a force that Ankara labels as terrorists. Such a move could trigger a new, bloody phase of the long-running Syrian civil war. Afrin has long been a point of tension for Turkey. The area is separated from two other Kurdish-controlled cantons—Kobanî and Jazira—in northeast Syria by a narrow strip of land west of the Euphrates. That strip is controlled by Turkish-backed rebels who seized the area in conjunction with the Turkish military in late 2016 and early 2017 as part of an operation that Ankara dubbed Euphrates Shield. Turkey had pushed that offensive despite U.S. objections in order to prevent Kurdish forces from linking up all three cantons. Ankara feared that if the Syrian Kurds unified all three cantons, Turkey would be largely cut off from the rest of Syria and the odds of a durable, autonomous Syrian Kurdish presence along Turkey’s southern border would increase. Ankara views a Kurdish statelet as a profound threat to its national security, fearing such an entity would further enflame Turkey’s long-running domestic Kurdish insurgency. While Turkey declared victory in the Euphrates Shield operation—having prevented the Kurds from linking their territories—they remain far from happy with the status quo, particularly with U.S. support to Kurdish forces in Kobanî and Jazira. On the other hand, Erdoğan has been threatening Afrin for years without doing more than shelling across the border. “We may come [to strike the YPG] overnight, all of a sudden without warning,” Erdoğan said in April 2017, part of a consistent barrage of threats towards the Kurdish group. Much of this rhetoric may have been meant for domestic consumption—to appeal to Erdoğan’s strongly nationalist constituency—or aimed at discouraging the United States from continuing its support for Kurdish forces in Kobanî and Jazira. But earlier this week the Turkish president put a timeframe on his military threat—the end of the week of January 15—for the first time. Erdoğan may have backed himself into a corner; his demands—that the Kurds effectively hand back the autonomy they have won over the course of the Syrian war—are untenable and have been predictably dismissed by Kurdish leaders. Yet if Erdoğan backs away from this threat and does nothing, he risks looking feckless before an important nationalist bloc at home. In addition to appealing to his domestic political base, however, it is possible that Erdoğan is threatening the YPG in Afrin in response to Russian and Syrian regime moves against Turkish-supported rebels in Idlib, Syria. This possibility should not be discounted. The Afrin branch of the YPG has built a cooperative relationship with Russia and the Syrian regime, and Ankara may essentially be warning Moscow and Damascus: If you do not stop hitting our guys in Idlib, we’ll move on your guys in Afrin. The escalation may also be aimed at the United States. While the U.S. does not have a presence in Afrin and has not worked with the YPG there, Washington recently announced that it would continue its support for the YPG-dominated Syrian Democratic Forces (SDF) east of the Euphrates—including Kobanî and Jazira cantons—with whom it has built close relations. (The Turkish pro-government media generally ignores the absence of American ties to Afrin and blames the United States for the existence of all three Kurdish enclaves in Syria.) As recently as Wednesday, the Pentagon confirmed its stance on the Afrin YPG: “We don’t consider them as part of our Defeat ISIS operations, which is what we are doing there, and we do not support them.” The separate, close relations the United States has built with the SDF and YPG to the east in Kobanî-Jazira have caused those forces to act differently than the Afrin YPG. For example, the SDF and YPG east of the Euphrates have largely eschewed cooperation with the Syrian regime and been more welcoming of non-Kurdish rebel groups. This moderating influence, however, has not lessened Turkey’s anger about U.S. support for the SDF. This complicated picture illustrates the durable, fundamental differences between how Washington and Ankara view the Syrian Kurds. First, the U.S. views the issue largely through the lens of countering the Islamic State (IS); therefore, it sees the value of Kurdish forces that have effectively driven IS out and stabilized liberated areas. Turkey, meanwhile, has an eye on its domestic Kurdish insurgency and its long-term influence in the region, and sees the Kurds as a dire threat on both fronts. Second, the United States takes a tactical view of its relations with the Syrian Kurdish groups and believes it can cooperate with the Kurds in Kobanî and Jazira, for example, while ignoring the Kurds in Afrin. Turkey sees the Kurdish threat as united, both between the component parts in Syria, and across borders into both Turkey and Iraq. In effect, Turkey is maneuvering toward a desired end-state in which Kurdish influence has disappeared—unrealistic as that is. The United States, for its part, has failed to outline any vision for a potential end-state, which has only stoked Turkish fears about U.S. intentions. In a narrow sense, then, a Turkish military move on Afrin does not directly risk U.S. forces. But, more broadly, a Turkish move on Afrin would dramatically increase the risk of a wider conflict and, potentially, ignite a new phase of the Syrian civil war at a time when Washington is trying to de-escalate the military conflict in the hopes of pursuing some eventual political settlement. Turkey is right that the overall Kurdish political movement in Syria shares the long-term goal of federal autonomy. Because of that shared commitment, Kurdish fighters and civilians across Syria would be dramatically inflamed by a Turkish move on Afrin. Even if Kurdish military and political leaders urged restraint—under pressure from the United States, no doubt—it would be difficult for them to prevent sporadic or even widespread attacks on Turkish forces or Turkish-backed rebels along the Turkish-Syrian border and in the region around Manbij, Syria, where the SDF and Turkish-backed Euphrates Shield forces are at close quarters. Turkey would be very vulnerable in such a guerilla war, and a broadened conflict would be disastrous for U.S. interests. There are Turkish outposts every few hundred meters along the length of the border; those outposts would be susceptible to hit-and-run attacks by Syrian Kurdish forces, either sanctioned by senior leadership or not. U.S. soldiers also operate alongside SDF forces in the border region, and the risks of accidental clashes with the Turks would be very real. Any such clash would be disastrous for U.S.-Turkish relations—and, therefore, for NATO cohesion. Given this risk, the United States might be forced to cut back operations with the SDF, which might in turn give IS breathing room when it is on the verge of defeat. Separately, the Syrian regime has already announced that, “Syria will confront any Turkish aggression or military action against its territory with appropriate response.” While Damascus is likely posturing for their own domestic audience and is unlikely to engage in a direct military confrontation with Turkey, they could still pose serious dangers to Turkish forces through support for the YPG and other asymmetric tactics. It is not difficult to imagine unintentional escalation between the Syrian regime and the Turks in such a convoluted environment, nor to envision accidental Turkish-Russian clashes. Overall, the outcome of the current developments in Afrin is very difficult to forecast. Turkey is clearly ratcheting up the signaling, but its motive is unclear. Erdoğan could be attempting to secure concessions from the Russians on other fronts in Idlib or from the United States in terms of post-IS stabilization in other parts of Syria, in which case Erdoğan is unlikely to follow through on his invasion threat. Alternatively, Erdoğan may believe the threat of Syrian Kurdish autonomy is untenable and requires a Turkish military response. Such a move might cause a fundamental break with the United States and carries significant military risk. Between securing the Euphrates Shield zone; fighting the domestic Kurdish Workers’ Party (PKK) insurgency; deployments on the border with the Iraqi Kurdistan Regional Government; and the presence in Idlib as part of the so-called de-escalation agreement with Russia, Turkey’s military is already over-extended. The Turkish military was also weakened by purges following an attempted coup in July 2016, which resulted in the removal of roughly half its senior leadership. The YPG is battle-tested and well-entrenched in Afrin and would likely put up a stern fight. The Russians and the Syrian regime, meanwhile, would have the motive and ability to help the YPG impose losses on Turkish forces. 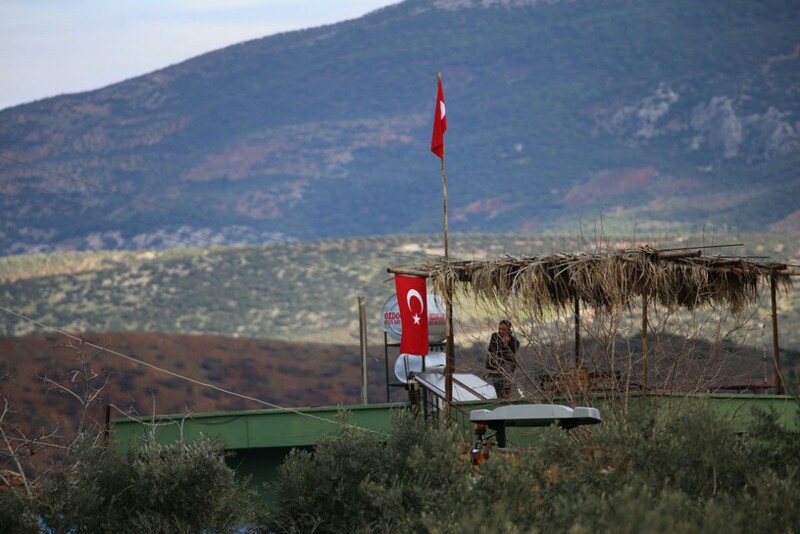 If Turkey was to follow through on its threat of military action in such a contentious area, this action could easily turn into a military quagmire triggering a new round of out-migration from the 200,000 civilians still living in Afrin. The United States has spent three years balancing a troubled relationship with Turkey with the imperatives of the counter-IS campaign in Syria. With the end of that campaign in sight, that balancing act is once again teetering on the brink. Turkish President Erdoğan could invade Afrin and likely force the United States to choose between Turkey and the Syrian Kurds, upending U.S. policy and inaugurating a new phase of the seemingly endless Syrian civil war. While such a move might critically weaken Syrian Kurdish influence and placate Turkish nationalists at home, it carries significant risks for Turkey. The United States should use all its influence to prevent such a disastrous step. Max Hoffman is the associate director of National Security and International Policy at American Progress.